Foreclosure vs. Bankruptcy: Which Is One is Worse? More and more people are finding out how difficult it is to meet their monthly bills due to the financial crisis that plagued our nation. Because of this, millions of people are finding themselves with a difficult choice to make: file for bankruptcy or get foreclosed on. The only way to decide which is better is to compare the two. Some of the most common questions in this situation are what are the consequences to being foreclosed on? How will foreclosure affect my credit? Foreclosure, obviously, affects your credit negatively and will show up on your credit report for a number of years, as will bankruptcy. Foreclosure will typically stay on your credit report for up to 7-years. In many instances, you will be able to start rebuilding your credit after two years has passed. Bankruptcy, on the other hand, will stay on your credit report for up to 10 years. Either way, you will have a major hit on your credit score and it will be difficult to get another mortgage or car loan until they have cleared. Bankruptcy is one way to deal with various types of creditors when money is tight. Chapter 13 bankruptcy is used to reorganize debts and provides a three to five-year window for repayment. It is often used by people who own expensive assets such as cars or homes and do not want to part with these. Steady income is required throughout the repayment plan and any violation of bankruptcy terms can lead to repossession of assets. When you are facing foreclosure, you may find yourself asking whether it?s possible to save your home and avoid foreclosure, and even whether it?s even worth saving. 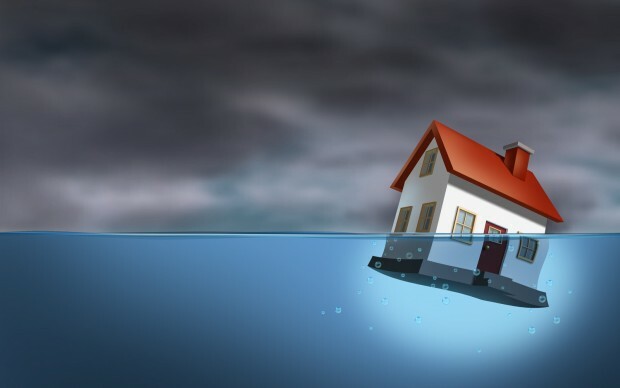 Is your house underwater?do you have equity in it? These are important questions to discuss with a bankruptcy attorney before either process progresses too far. When you have decided that, for whatever reason, you want to save your home, Chapter 13 bankruptcy is usually the best course of action. When finding yourself in a foreclosure vs. bankruptcy situation, it is important to make the clear decision whether you do want to save your home or not. Chapter 13 bankruptcy can stop the foreclosure process in its tracks and can help to restructure your debts to a manageable payment amount until you emerge from your completed repayment plan period. ?In many instances, Chapter 13 can save your home because it will force the lender to work with the bankruptcy court and trustee to come up with a new payment that works for your income, within reason. A short sale is the sale of a home for less than the mortgage balance. All proceeds from the sale are used to repay the mortgage and the homeowner must contribute additional money to cover the remaining balance. This situation is not ideal because the homeowner usually does not have any extra money. Short sale transactions can be complicated, some banks do not accept short sale payoffs, and some homeowners do not qualify. During a short sale, the homeowner may ask the lender not to report any adverse credit. However, the lender is not obligated to agree to this. A foreclosure is displayed on the credit report, making it difficult for the individual to purchase another home for up to five years. In addition, credit card interest rates may increase by up to 30 percent, making it difficult to secure other credit. It all depends on what you see as your main goal. If your goal is to walk away from the home, avoid foreclosure with a short-sale, or save your home with chapter 13 bankruptcy, you have different options. Speaking with an experienced bankruptcy attorney is an important move to make as they will be able to provide you with the resources and specific details of which is better for your particular case. There is no right or wrong answer, generally speaking, on which is better, foreclosure vs. bankruptcy, but with the right help from a bankruptcy attorney, you can emerge from the process in a much better situation than you ever believed you would be in. I don’t know what to do. I have just been served with foreclosure paperwork by a law firm. Should i file for bankruptcy and try to keep my home? I fell behind on payments when i lost my job but now i am employed again. I just can’t pay them the 7 months of payments that i missed all at once and they will not work out a payment plan for me. 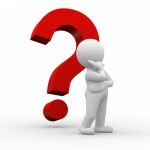 Bankruptcy vs. foreclosure–the ultimate question for our attorney experts. Call us and we will help with a free bankruptcy or foreclosure evaluation. This is a tough call, but in your situation, it looks like chapter 13 bankruptcy might be the best option. A chapter 13 plan will help you pay back the back amount by restructuring your payments and eliminating other debts you may have. Get started right now, don’t waste any more time.